ASEAN+3 Bond Market Guide is a comprehensive explanation of the region�s bond markets. It provides information such as the history, legal and regulatory framework, specific characteristics of the market, trading and transaction (including settlement systems), and other relevant information. 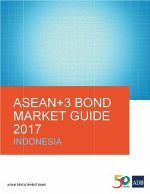 The Bond Market Guide 2017 for Indonesia is an outcome of the support and contributions of ASEAN+3 Bond Market Forum members and experts, particularly from Indonesia. In the fourth quarter of 2018, corporate bond issuance declined 59.3% quarter-on-quarter and 73.3% year-on-year. The largest corporate bond issuer during the quarter was Lontar Papyrus.